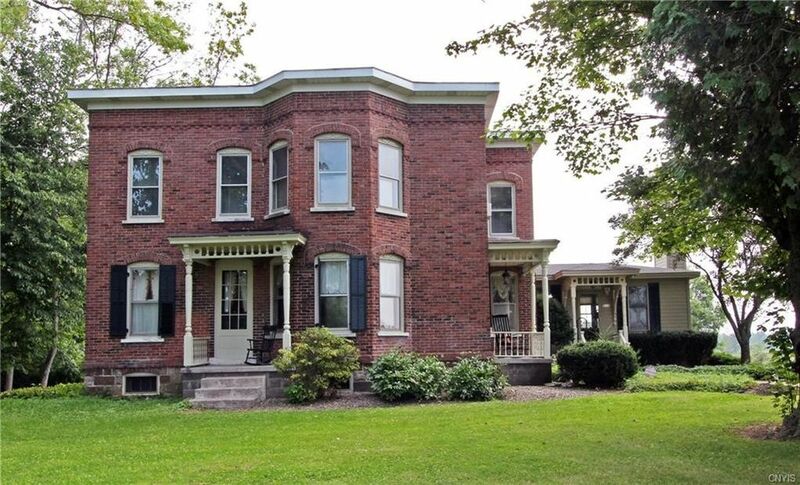 Historic and Updated Brick Victorian Farmette! This welcoming, spacious rural Escape is waiting for your visit. All the wonderful details you're looking for in an older home with all the updates you desire: updated Kitchen with Granite countertops, Hardwood Floors, newer additions of Family Room and 4-Season Conservatory. Views from the street don't show the whole spectacular story: The property is private-escape and Equine-ready: expansive back Patio and Decks with Pergolas overlook a 4 Stall Horse Barn, Cottage with Loft (could be used as another barn(, Mackenzie-Childs inspired Potting Shed and Gazebo that encompass the 18-foot deep Pond stocked w/Koi and Goldfish all on more than 5 ACRES of partially Board-Fenced Land! Very conveniently located near 481, just under 30 mins to Syracuse. Directions: Route 481 to State Route 264. House is just before Route 54 on the right.